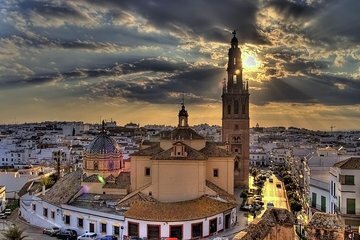 The Alcazar de la Puerta de Sevilla and the Church of Santa Maria are two of Carmona’s most popular attractions, and this 2-hour guided tour visits both. Explore the ancient hilltop fortress and enjoy spectacular views over the city, then stroll through the atmospheric old town and to see the striking Church of Santa Maria. Please be on time and we recommend at least 5 minutes prior to contact with our guide. If you are not on time the service is considered complete and no refunds or claims are available once a tour has commenced. Important: Cell phone number of the client is required. Andalusia Tour Travel is not responsible for the delay takes place at the entrance of the monuments, either by the organization and / or internal management of the monument. The abandonment or separation from the group during the guided tour involves loss of any right to claim. If any change is produced in any visit, it shall be informed at the time of booking or at the beginning of the service, being valid and definitive information provided by the guide at the start of the visit. Any of the places specified in the development of each of the visits, may be replaced by another of similar category or characteristics, whether special or force majeure circumstances oblige us to do so.